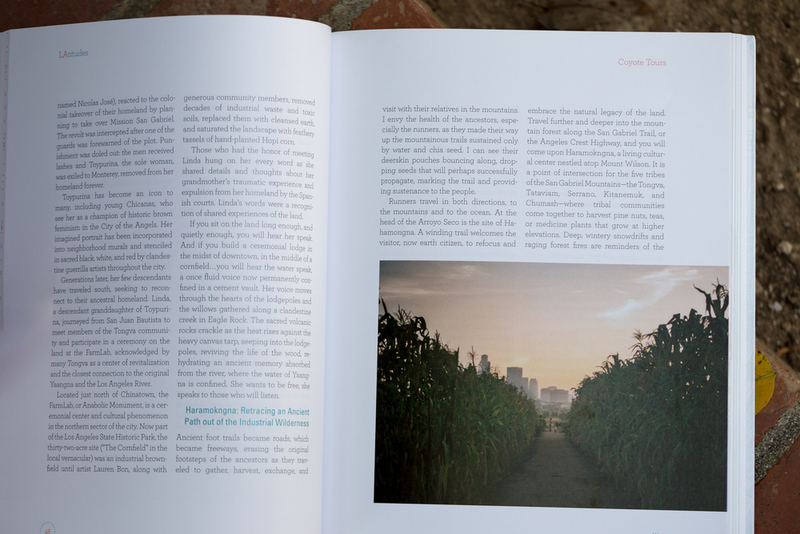 Some time ago I was approached by a book publisher called Heyday who wished to license one of my images for a book on Los Angeles they were planning to publish. Along with the royalty, they promised a copy of the book when it was eventually printed. That was an extra delight -- normally I don't see how my images are used unless I get lucky and find one in the wild on my own; this is how it works with my agency Getty Images. But LAtitudes was a direct sale. The book was recently published, and as promised, Heyday sent me a copy. I'm thrilled to be a part of this... the book is very interesting. It was a little damaged in transit. This is what 4th class mail does to a book. Nice big half-pager. Credits are never guaranteed; in this case they are in a graphic index in the back. The book contains relatively few images, so I'm all the more honored to have been included, and I'm grateful that Heyday recognizes the value of photography and offers a fair royalty rather than picking up free or almost free images from the internet.